Judges for Judges today joined a statement delivered by the International Bar Association on indicators of independence of justice systems. The statement came during the interactive dialogue with the UN Special Rapporteur on the Independence of Judges and Lawyers. As international organisations of legal professionals, we endorse the recommendation made by the Special Rapporteur to develop a set of international indicators to assess the independence of justice systems. 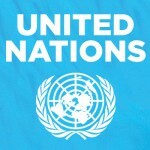 Achieving Sustainable Development Goal 16 – that is, providing access to justice for all and building effective, accountable and inclusive institutions – will require respect for the universal principles of independence and impartiality of justice systems and the independence of the legal profession. In 2015, the International Bar Association (IBA) and the International Commission of Jurists (ICJ) proposed two indicators under SDG16, regarding the independence of the judiciary and an independent and self-governing legal profession. The IBA is currently developing ‘indicia of independence’ that can be used to assess the state of independence of the legal profession in a given jurisdiction. The Commonwealth Lawyers Association (CLA) and the Commonwealth Magistrates’ and Judges’ Association (CMJA) continue to monitor judicial and legal independence through the Commonwealth Latimer House Working Group. 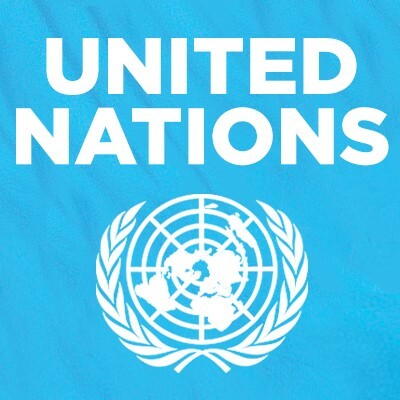 We therefore, Madam Special Rapporteur, fully support your endeavour to develop universal indicators that complete the UN Rule of Law Indicators, and build on the UN Basic Principles on the Independence of the Judiciary, the Basic Principles on the Role of Lawyers, and the Guidelines on the Role of Prosecutors. We further call upon States to ensure that national targets and indicators duly align with international indicators and international principles. 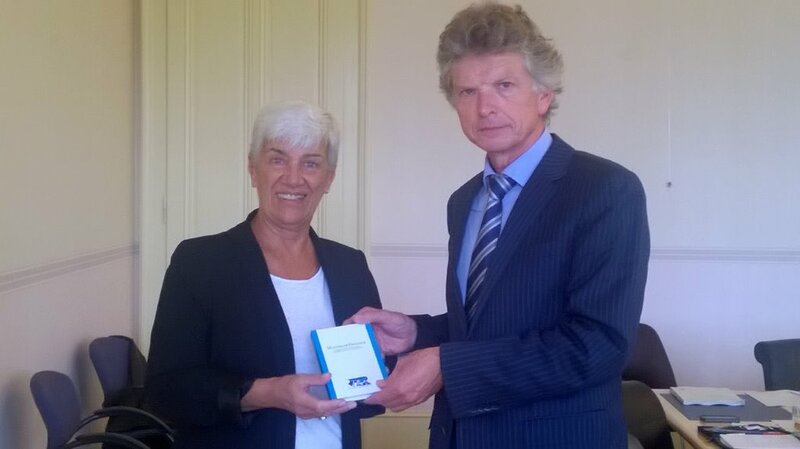 The International Bar Association’s Human Rights Institute (IBAHRI) released this week its report on the ‘Role of the UPR in advancing human rights in the administration of justice’. The report assesses more than 38,000 recommendations made between 2008 and 2014 for references to the legal profession. UPR recommendations still insufficiently address the role of judges, lawyers and prosecutors, or the threats they face, as extensively documented by the Special Rapporteur on the Independence of Judges and Lawyers. Significantly, these recommendations often make no reference to relevant UN standards. isdiction. Serious issues in the appointment and removal of judges are mostly ignored. 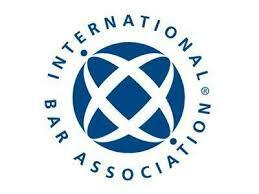 The independence of lawyers was considered in fewer than 100 of the 38,000 UPR recommendations. Prosecutorial independence is addressed in less than 10 per cent of the recommendations calling upon States to effectively investigate or prosecute rights violations. Guarantees for legal professionals’ rights to freedom of expression, assembly and association are barely addressed. This fails to reflect the key role that self-governing organisations of legal professionals should play in upholding human rights and the rule of law, the independence of the legal profession and law reform processes. As international organisations of legal professionals, we foster the engagement of the legal profession in UN human rights mechanisms and in monitoring the implementation of UPR recommendations. We call upon the Human Rights Council, as well as States, to ensure that in the third cycle of the UPR, the role of judges, lawyers, and prosecutors receives the heightened attention that it is due, as recognised by the UN Basic Principles on the independence of the judiciary, the UN Basic Principles on the role of lawyers and the UN Guidelines on the role of prosecutors. Between April and May 2016, the Kingdom of Swaziland will have its human rights record reviewed by a peer of states in a process known as the Universal Periodic Review (UPR). 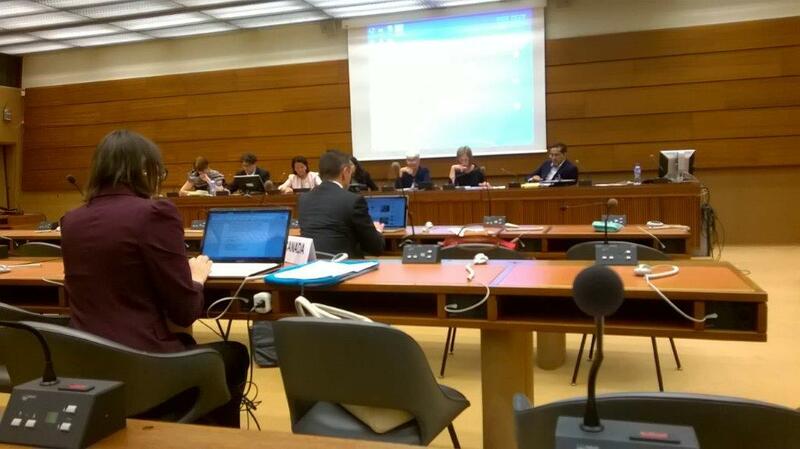 This is the second time Swaziland will be reviewed under the UPR. Prior to this, civil society organisations are provided an opportunity to present their own report regarding the country’s human rights record. As part of this process, Judges for Judges (J4J), the International Bar Association’s Human Rights Institute (IBAHRI), Lawyers for Lawyers (L4L) and the Southern Africa Litigation Centre (SALC) prepared a joint report. The report covers the organisations’ concerns regarding the continued suppression of freedom of expression, association and assembly in the country; violations of the rights of arrested and detained persons; the absence of the rule of law, lack of external and internal independence of the judiciary; as well as the failure of Swaziland to guarantee effective access to legal services provided by an independent legal profession as set out in the UN Basic Principles on the Role of Lawyers. Full Joint Shadow Report readable via issuu or download the pdf. 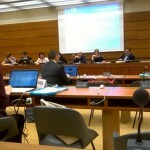 Op uitnodiging van de International Bar Association’s Human Right Institute (IBAHRI) en de International Commission of Jurists (ICJ) werd op dinsdag 15 september 2015 met een bijeenkomst in het Palais de Nations in Geneve de 25/30 ste verjaardag gemarkeerd van de Basic Pinciples. Namens Rechters voor Rechters was bestuurslid Evert van der Molen hierbij aanwezig. De bijeenkomst was een “side-event” van de Mensenrechtenraad. 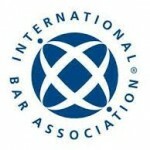 The International Bar Association’s Human Rights Institute (IBAHRI) is deeply concerned by the Hungarian Parliament’s adoption of a Fourth Amendment to the Hungarian Fundamental Law (the ‘Constitution’) that further limits the authority of the Constitutional Court. The Fourth Amendment, adopted 11 March 2013, prohibits the Constitutional Court from examining the substantive constitutionality of future proposed amendments to the Constitution and strips the Court of the right to refer in its rulings to legal decisions made prior to January 2012, when the new constitution came into effect.